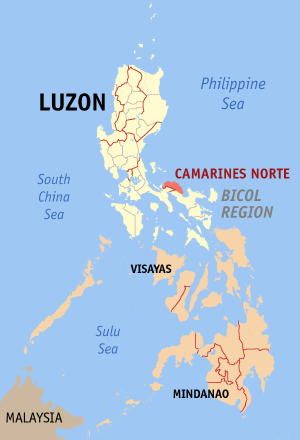 Camarines Norte is located in the northwestern coast of the Bicol Peninsula. It is known for mining, jewelry craft, pineapple and coconut industry. In terms of tourism, it offers a lot of tourist spots and attractions to visit and activities that can be done in the province - surfing, beach bumming, island hopping, chasing waterfalls, church visits and more! This travel guide will provide you with basic information on how to get there, things to do, where to stay and estimated budget that will help you plan your visit. Tara Lets! Come to CamNorte! By Land: From Manila, take a bus bound for Daet, Camarines Norte. Travel time is about 8 hours and fare is around 700 pesos. By Air: There are no commercial flights to Camarines Norte. 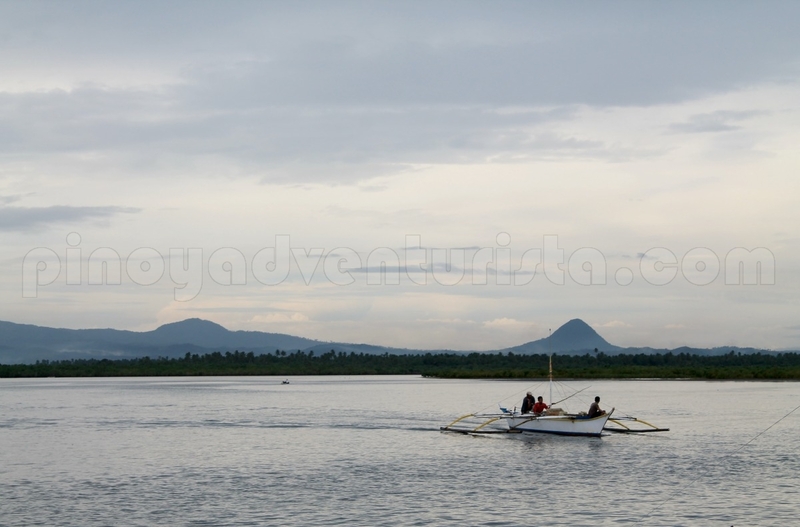 The nearest commercial airport is in Naga, Camarines Sur. From Manila, take and 40-minute plane ride to Naga. Then take a public van (188 pesos) or bus(around 140 pesos) to Daet, Camarines Norte, travel time is 1.5-2 hours. Take or hire a tricycle for 30 pesos to Bagasbas Beach, which will take about 10-15 minutes. Take a jeepney to Vinzons, fare is 16 pesos and travel time is about 30 minutes. 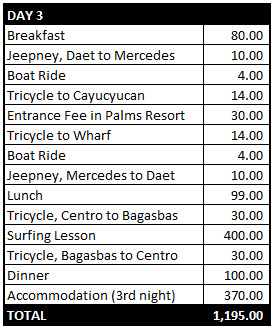 Take a jeepney to Mercedes and alight at the Fish Port, Fare is 10 pesos and travel time is about 15-20 minutes. Daet is a progressive town and the center of commerce in the province. It has a number of accommodations to choose from. The most affordable and decent that we were able to find and as suggested by my friend who lives in Daet is Hotel Dolor. Cheapest room is at 300 pesos per night. See room rates and availability here. 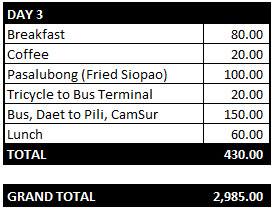 Please note that these are my expenses when I was in Daet. 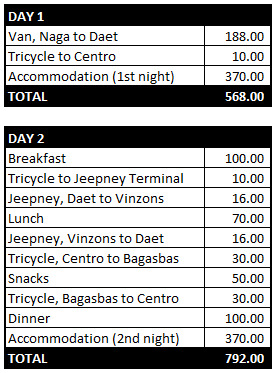 It didn't cover my expenses of getting in and out of Daet via Naga. This is part of my adventures in Camarines Norte last September 16-18, 2012. 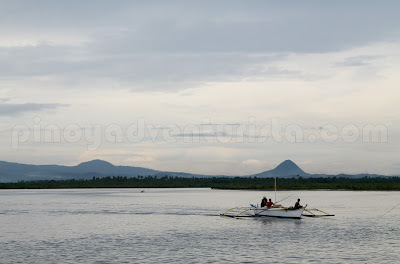 Camarines Norte, a province in Bicol Region is the 77th province on my list. I enjoyed the sights, adventures the friendliness of the people. I'm also happy to meet a good old friend who toured me around his home province. Join me as I continue my journey to visit all 80 province in the Philippines! Walking Tour around Daet, "The Gateway to Bicolandia"
Riding the Waves of Bagasbas Beach, my 8th Surfing Experience!